I Love Being Yours. Nothing else needs to be said. Our wall decals are ideal for bedrooms, offices, living rooms, entryways, classrooms, dance floors, receptions, even your car, bathtub or glass shower doors! 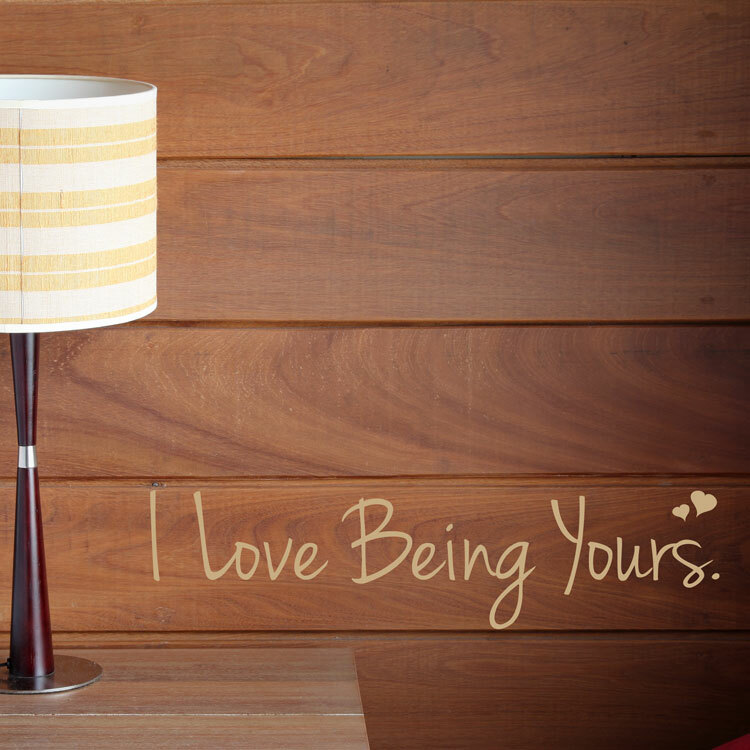 This simple Love quote wall decal measures 22 inches wide by 5.5 inches high. And yes, it includes the two little hearts too! This wall sticker comes in one piece, ready to apply!